The second spacecraft of the Gravity Recovery and Climate Experiment (GRACE) – run jointly by NASA and the German Aerospace Center – re-entered the atmosphere on Christmas Eve 2017, two months after ending a science mission of over 15 years. The two identical GRACE spacecraft, each weighing in at 487kg and measuring 3.1 meters in length, launched atop a Rockot Booster in 2002 to set out on a mission dedicated to a detailed measurement of Earth’s gravitational field anomalies. A measurement accuracy on the order of a few micrometers allowed the measurement of gravity anomalies: as one spacecraft passes over a region of stronger gravity, it is pulled slightly ahead of the trailing satellite – increasing the distance of the satellites until the second satellite also passes over the anomaly, thus allowing anomalies to be pin-pointed in position and magnitude by combining data from the two satellites and auxiliary inputs such as GPS. Over the course of their mission, the two GRACE satellites flew 220 Kilometers apart in an orbit 500 Kilometers in altitude. The GRACE twins outlasted their planned five-year mission by a full decade, becoming one of the most successful gravity exploration missions ever performed. 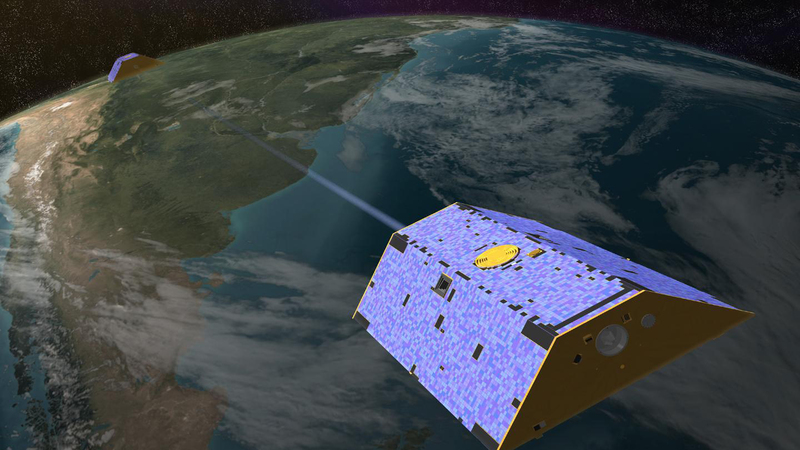 GRACE-2 encountered severe degradation on its batteries in September 2017 and the mission was de-commissioned to have the two satellites descend toward a natural re-entry with GRACE-2 leading the way. 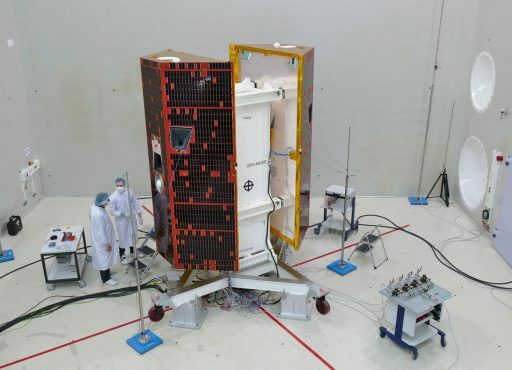 A GRACE Follow-On mission is being readied for launch in 2018 and will use the proven microwave ranging system plus a laser ranging payload flying as a technology demonstration.